Last edited by primavear22; 11-18-2013 at 03:34 PM. Didn't you say your old skype got hacked? Just try to recover it back. i did. 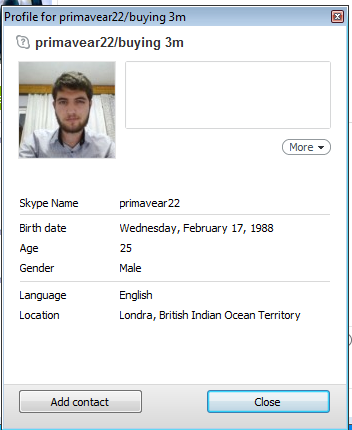 there's a new FAKE skype with that name above.